The Ritualites is Michael Nardone’s book-length poem on the sonic topography of North America. Composed at sites all across the continent—from Far Rockaway to the Olympic Peninsula, Great Bear Lake to the Gulf of California—the book documents the poet’s listening amid our public exchanges, mediated ambiances, and itinerant intimacies. Book*hug intern Mary Ann Matias recently sat down with Michael to discuss this exciting first book in a series of planned works. Mary Ann Matias: Tell us about your book and how it came to be. Michael Nardone: In 2006, I completed a draft of a novel entitled The Ritualites. 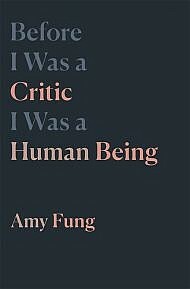 At the time, I was attracted to autofiction, and wrote the manuscript in that vein: it explored the idea or possibility of transformation – in terms of personal desires, the possibility of collectivity, and the category of facts – at the time of the US-led invasions of Afghanistan and Iraq, in its particular culture of disinformation. During the previous years, I had lived a kind of itinerant life, moving from rural Pennsylvania to Boston to rural California to Wisconsin, then to study languages and teach in Varanasi, before settling in Berlin for several years. In the book, I wanted to make a map of my relations in these places (always tied to or framed by larger geopolitical narratives), to make a narrative of the interactions that left such a deep impress on my language, on my conception of a world. Three things happened afterwards: I became interested in a form of anti-autobiographical writing that I initially approached through the works of Rimbaud; I became interested in lyric composition, in compression and thinking-with/in-language that I came to understand through the writings of Gertrude Stein and Paul Celan (which I was reading in order to learn German); and I wanted to experiment with forms of reception, with the figure of the writer as a listener (as opposed to an orator) that I encountered first in the poetic practice of Jack Spicer. So, beginning in 2008, I began to re-imagine this work in an entirely different way. As opposed to narrating an event, I became fascinated with constructing ways to situate the reader in the event’s midst – as an active listener attending to that situation’s complex polyphony. I became interested in exploring the idea of voice, of voices, of vocality, of the apparent sense of immediacy one feels in listening, and, then, in constructing into poems the variety of ways those voices and that listening is mediated. So, The Ritualites is a product of these initial studies and experiments in listening, in transcription, in resonance. MM: If your book had a soundtrack, what songs would you include, and why? MN: Here’s a playlist of songs that have informed parts of The Ritualites in terms of their forms of chorusing, their rhythms and melodies and harmonic structures, and, every now and then, their words. Track listing below; download the songs: here. MM: What was your writing routine like while you wrote this book? MN: The way I compose poems makes me feel like I am both always and never writing. Generally, I go through long periods of time where I accrue words, phrases, sentences – in writing, but also through audio recordings – to which I often add commentary, some description of why the language and its sources are of interest. Sometimes I have a clear sense of what these fragments might move towards, but often I don’t. My notebooks, then, become a repository of this reading and listening. There are moments when a line that connects the fragments becomes visible, audible, when a particular arrangement or clustering is clear – these dear, momentary bursts where I am writing. The oldest parts of The Ritualites – the sections entitled “Tower 1, Tower 2” and “O, or, Plains, Pennsylvania” – I mapped out while living in an old tent frame on Blachford Lake in the Northwest Territories. I spent several months living there as a long winter ended and the lake’s ice broke up and melted into itself, and the days turned into twenty hours of sunlight. The tent frame had a simple porch where I fashioned a desk out of some spare wood, and I worked on constructing the poems that became the first third of the book there each morning and evening. I drafted the four sections of the book entitled “Airport Novel” and “Unfixed Territories” while held by the Canada Border Services Agency at the Edmonton International Airport in 2011. The situation was nothing near the severity of detention centres we have heard about over these last months on the Mexico-US border, and many other places for that matter. In fact, the series of rooms I was made to wait in contained small collections of well-worn paperbacks (thriller novels such a Tom Clancy’s The Sum of All Fears and self-help books like Dr. Phil’s The Self Matters), security and immigration pamphlets, and a number of luxury travel brochures. I started reading between the materials and, either out of boredom or delirium, began to see how they were absolutely interconnected, that they were dictating a coherent narrative, one about how power is imagined and realized. So I took out my small audio recorder that I carry with me everywhere and began to dictate this narrative, which I have transcribed and included in the book. I composed the final third of the book – the sections entitled “Topologies/Otographies,” “La Push,” “The Ritualites,” and “Envoi” – mostly in the midst of traveling to different places in North America and, also, using a number of sound recording devices. With these works, I wanted to be a kind of ethnographer of the United States, of the living exchange of language and the mediated event of an empire crumbling. Sometimes, I would make these simple recordings of conversations with friends or with people I’d encounter along the way, or I’d document what I hear over the radio and television, or I’d devise some kind of semi-elaborate system to document an ambient space like a historical site or a parking lot. Here, again, the point was to accumulate phrases, to have this kind of archive of statements that I could then draw from and transcribe and and shape into these things that might be poems. MM: Which writers have been the most influential to you? MN: My immediate community of poets here in Montreal is so rich: Helen Guri, Collen Fulton, Erin Robinsong, Nicole Raziya Fong, Kaie Kellough, Sandra Huber, Jacob Wren, Erín Moure, Oana Avasilichioaei, Chantal Neveu, Gail Scott, Sina Queyras, Steve Giasson, Nadia Chaney, Anahita Jamali Rad, David Bradford, Ashley Opheim, Ali Pinkney, and Laura Broadbent. What an amazing thing it is to get to live among such folks, to be at readings with them, to hear about their thoughts and work in a kind of casual, quotidian way. 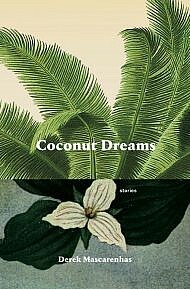 I’ve always felt a strong affection for and affinity with the work of Vancouver poets such as Jeff Derksen, Cecily Nicholson, Mercedes Eng, and Stephen Collis, and to poets I route through Vancouver poetics now in other places like Jordan Scott, Lisa Robertson, Kevin Davies, Donato Mancini, and Peter Culley. Then, elsewhere, I read closely and with great pleasure: Divya Victor, Corina Copp, Shiv Kotecha, Diana Hamilton, Wendy Trevino, Jasper Bernes, Juliana Spahr, Trisha Low, Josef Kaplan, Tan Lin, Layli Long Soldier, Craig Santos Perez, Nicholas Kommodore, and Mark Johnson. I am deeply indebted to the publishers Gauss PDF, edited by J. Gordon Faylor, and to Troll Thread, edited by Holly Melgard, Joey-Yearous-Algozin, and Chris Sylvester – for the kinds of works and ethics of publishing they’ve forged a space for over these last years. Finally, over these last months, I’ve kept on coming back to the work of Tim Lilburn, and realize the impact his work has had on my sense of poetics: his experimentations with somatics, how the body might be utilized as a kind of recording device; his sense of time and the way distinct eras manifest themselves palimpsestually within an object, in an event, through a thought; his sense of phrasing, his clattering consonants and thick vocalic undertones that carry across and connect lines, the way, at times, choruses emerge, take form, disperse, and reform once more across entire systems of poems. MN: I have envisioned The Ritualites as the initial part of an ongoing serial poem that I don’t have an exact sense of or title for at the moment. I published the second book of this serial poem – Transaction Record – in 2014 with the Bay Area publisher Gauss PDF. I realize it is perhaps a strange thing to have published the second book first, but the story behind that is that I basically finished The Ritualites in 2011 and hid the manuscript from myself for a number of years, and composed Transaction Record throughout 2013 and published it immediately after it was done. So, now, I’m working on the third book of the poem; it’s called SIGNATA. Like The Ritualites and Transaction Record, the book explores traces (both material and embodied) and their dispersion, the (non-)indexicality between language and event, systems of marking and meaning-making, and a way of encountering the world through a kind of echolocation. Or, to be more specific, the book at this point is composed of two sections “Janvier” and “Document, the names of two Rimbaud poems he likely intended to enter into Les Illuminations, yet they were lost before he or his editors could include them in that book. So, I’ve decided to rewrite them so they could be a part of this one. Entfernung dringt wie Farbstoff in den Verschwindenden und durcktränt ihn mit sanfter Glut. Order your copy of The Ritualites here. 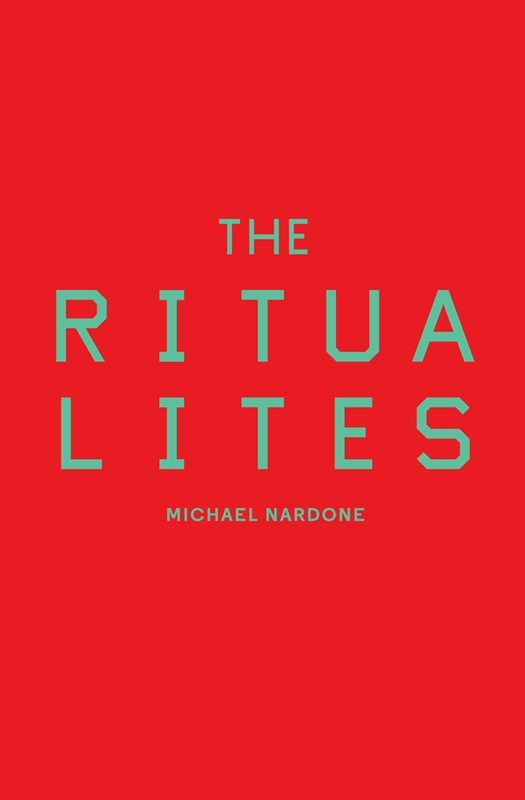 Michael Nardone is the author of The Ritualites (2018) and Transaction Record (2014). He is a postdoctoral fellow in the département des littératures de langue française at the Université de Montréal, and an affiliated faculty member at the Centre for Expanded Poetics, Concordia University. Born in Pennsylvania, Nardone has lived and worked in Boston, Varanasi, Berlin, and Yellowknife. His writings, dialogues, and editorial projects have been published widely and are archived at http://soundobject.net. He lives in Montreal.